New AR stickers are here for your Pixel and Pixel 2! Google told us that new sticker packs were coming and they went live today. We’ve got Winter Sports and Blocks AR stickers, both of which need an update to the AR Stickers app in order to work on your Pixel phone. That’s annoying, since Google is still slowly rolling out updates in stages and no one ever gets them within the first few days, but I’m sure all you APK bros can figure out where to find the v1.1 update. The Winter Sports AR stickers arrive just in time for the Winter Olympics. You’ll find new stickers like a winter bear, skier, hockey player, ice skater, snowman and tree. 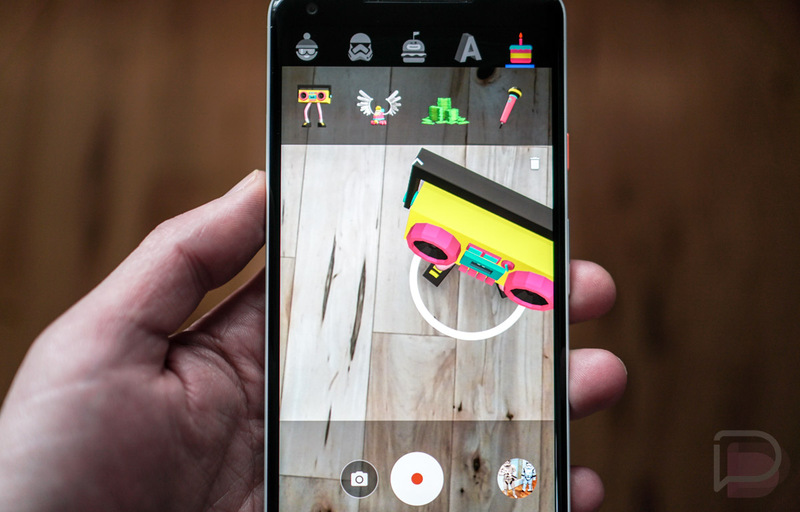 In the Blocks AR stickers pack, you’ll find items including a boombox, microphone, stack of cash, and champagne bottle that you can play spin-the-bottle with. What are Google AR Stickers? The fun little animated objects that you can place in photos or videos through the Pixel camera app to spice things up some. To use AR Stickers on your Pixel or Pixel 2, open the camera app, swipe on the side menu, and tap the “AR Stickers” option. From there, browse through the different sticker packs, then drag and drop the ones you want to use onto your camera feed. Snap away.